Anyone who has experienced a hangover knows it is unpleasant. Those who experience them regularly tend to spend a lot of time looking for something to take all their ails away. 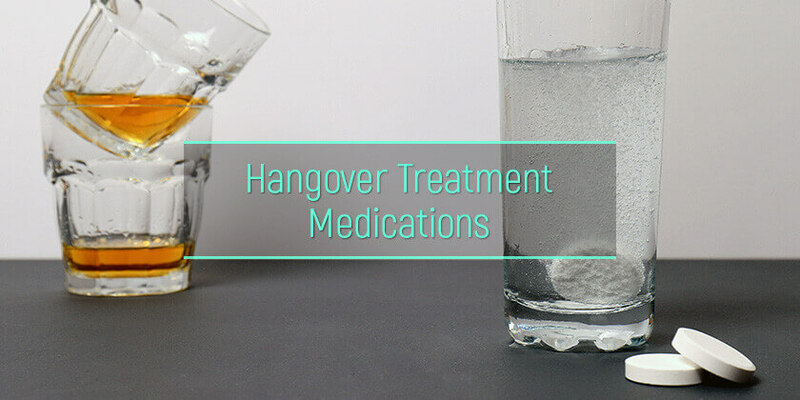 While there is no magical hangover cure pill that works for all people in all situations, there are medications that can address specific symptoms or sets of symptoms experienced the morning after drinking. How do NSAIDs work for hangovers? Is activated charcoal effective for hangovers? Does Pedialyte work for veisalgia? How can Emergen C help with crapulence? Is Pepto Bismol good for hangovers? Does BC Powder cure veisalgia? Is Alka Seltzer a crapulence remedy? Can Zantac 75 Relief reduce the hangover symptoms? Is Acetaminophen a good choice for crapulence? Why do we get hangovers? Scientists have yet to come to a consensus on the issue. However, they have been looking into ways to address the phenomenon. People, in general, have long been trying to find cures for the ails they experience the morning after drinking. While the majority of these so-called remedies offer little more than a placebo effect, certain medications have been effective at combating specific symptoms — for example, pain medications for muscle soreness or antacids for acid reflux. Hangover pills are medications designed to combat multiple symptoms at once. This idea appeals to many who imbibe as it is significantly easier than taking multiple medications for each symptom they are suffering from while also reducing the risk of potentially dangerous interactions. Rather than pulling out half the items in the medicine cabinet every time they drink heavily, they can use a single medicine for hangovers. Hangover medicines are not new, but it is only recently that they have achieved significant popularity. The original medications were little more than activated charcoal combined with antacids. Now, the best hangover pills are practically pharmaceutical cocktails that may address ailments as varied as low mood and nausea. Each company has its formula, and no pill will address all symptoms. As such, what pill to take for a hangover will depend on what the drinker is experiencing. Keep in mind that there are different hangovers after different drinks, so those who drink often may want multiple pills on hand. Taking a single pill for hangovers rather than multiple medications sounds great, but is it too good to be true? Because these medications are relatively new and hangover medication is over-the-counter, these pills have not been extensively tested. As such, there is little to go on beyond customer reviews. Unsurprisingly, some customers offer rave reviews while others insist these pills are little more than snake oil. This could be attributed to multiple factors. Perhaps there is a certain placebo effect present when taking something that labels itself as an anti-hangover pill. Maybe the users are taking the wrong medication for the specific type they are experiencing. It could even be that since the pills combine multiple medications, ultimately the doses of each are too low to achieve the desired effects for certain individuals or to combat signs of a severe hangover. Another problem with hangover meds is that many of them only claim maximum effectiveness if they are taken before drinking as a preventative measure. While prevention is undoubtedly better than cure, many people who end up with the morning after drinking effects set out with a plan to drink very little and therefore do not plan to prevent symptoms from occurring. 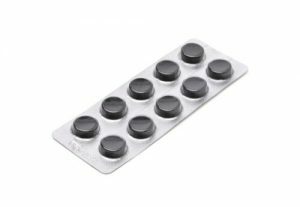 As such, over-the-counter hangover medications usually just dull symptoms enough for users to be functional rather than curing the condition, leaving many preferring individual medications over combination no hangover pills. Perhaps the most well-known symptom experienced the morning after drinking is a pain. As such, the first step in how to deal with a hangover is usually battling the pain it causes. This pain can be a pounding head, throbbing muscles, or even organ pain from an overtaxed liver or kidneys. A logical way to combat this is by taking a pain reliever. The presence of alcohol in the body can set off the immune system, triggering its inflammation response. Inflammation can cause many different types of pain, all of which are commonly associated with the morning after drinking. For this reason, NSAIDs are often recommended as the best medicine for a hangover headache. The best hangover headache medicine between these three will come down to personal preference. Users should keep in mind that while these medications are safer for use after drinking alcohol than other options, there is still an increased risk of ulcers and internal bleeding. Additionally, they can cause stomach upset in some people, which could make nausea from drinking worse. Activated charcoal has long been a popular remedy, but is it an effective hangover medication? The logic for using it is clear; hospitals often utilize activated charcoal when attempting to absorb alcohol and other toxins in the stomach to combat poisoning, so it stands to reason it could help with the after-effects of drinking. However, there are some issues with this reasoning. First of all, the effectiveness of activated charcoal on treating alcohol poisoning is minimal. Secondly, it does not have any effect once the alcohol has been absorbed and is no longer in the stomach. While it is possible—though not proven—that taking it before drinking could help to prevent symptoms, activated charcoal cannot cure it once it begins. Alcohol is a diuretic, meaning it forces the body to expel more water than it otherwise would on its own. It does this by inhibiting the release of vasopressin, which is a hormone that regulates the amount of urine the kidneys produce. Many signs of dehydration are the same as hangover symptoms, leading many to believe it is the primary factor in experiencing the after-effects of drinking. Electrolyte drinks use salt, water, and sugar, to hold in the moisture the body still has while also keeping new fluids injected from being flushed out. They also replenish lost electrolytes, which are vital to bodily functions. If the dehydration is severe, medical attention should be sought. While it is still unclear what mechanisms cause hangovers to develop, there is increasing evidence that the immune system plays a key role. Because of this, some people believe that taking immune system boosters can help them end their symptoms faster. While it is possible that taking immune system boosters like Emergen C before drinking could reduce or eliminate after effects, taking the medication once those symptoms are being felt is unlikely to help. As such, it is not a hangover medication. Pepto Bismol has been around since 1900. Developed as a cure for infant diarrhea, it quickly became known as the best hangover medicine. Pepto Bismol treats multiple symptoms commonly experienced the morning after drinking, including nausea, diarrhea, and acid reflux. While it does not treat all symptoms, it is good medicine for hangovers with significant gastrointestinal effects. For those who dislike the taste or texture of Pepto, there are other medications with similar effects. BC Powder is often a choice medicine for a hangover headache. It contains both aspirin and caffeine and is mixed into water or another liquid and then drank. Because it is in powder form, it acts faster than pills do, helping drinkers feel relief sooner. The problem with using BC Powder is that hangovers can induce nausea and vomiting, making it difficult for users to drink the medication and keep it down long enough to experience the benefits it offers. Despite this, many swear by its use for combating both pain and fatigue after drinking. Alka Seltzer is another classic medication that has long been used to combat drinking after-effects. The company even offers a special version called Morning Relief specifically marketed as a medicine to help hangovers. The primary ingredient in Alka Seltzer is baking soda, which can settle stomach upset by neutralizing stomach acid. It also contains aspirin, which can help with some aches and pains. However, some of its other ingredients, such as citric acid, can irritate the lining of the stomach in some users, making symptoms worse rather than better. Zantac 75 is an antacid medication and is often taken after drinking to neutralizing stomach acid and reduce nausea. It has been proven effective at this, and there are even rumors that it was created specifically to combat hangovers. However, drinkers should be cautious when using it. Taking it the morning after drinking is fine, but taking it while drinking as a preventative is dangerous, as Zantac can increase blood alcohol levels. 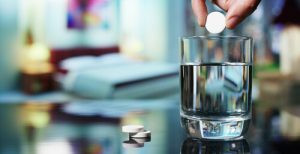 While there is plenty of debate over what is the best medicine for hangover symptoms, there is no argument that one of the worst is acetaminophen. Also known as Tylenol, this medication is dangerous to take during or after drinking. No one who consumes more than 2-3 drinks in a day should take acetaminophen. Why is acetaminophen so dangerous to take after a night of drinking? It comes down to the way the medication is processed. For most medications to be effective, they must be metabolized by the body. Some are metabolized by the liver, and others by the kidneys. Acetaminophen is one that the liver metabolizes. When it does so, some of it becomes a benign substance, while a small portion becomes a toxic substance that is harmful in large doses or when left in the body. Alcohol is also processed by the liver. When alcohol is consumed in large doses, it depletes the liver of glutathione stores, which are needed to processes acetaminophen safely. If acetaminophen is taken with or after heavy alcohol consumption, the liver cannot safely process it, leading to high levels of toxins in the body which can permanently damage the liver or cause a medical event that requires hospitalization. There is also research that suggests consuming acetaminophen with alcohol can contribute to kidney disease. Even if Tylenol is a drinker’s preferred pain killer for other situations, it should never be used to treat drinking after-effects. The best method for how not to get a hangover is to not drink to excess. If someone is frequently experiencing hangovers, it is a sign of problematic alcohol use. While battling alcohol use disorder and alcoholism can be difficult, drinkers are not alone in their journey. There are many quality rehab facilities which can help them discover how to get sober. The assistance with alcohol abuse treatment they need is out there.